Whilst his name is not so much on the tips of people's tongues today, Alessandro Scarlatti was one of the major names in early 18th century Italian opera. In fact, such was his fame that his son Domenico never seems to have been able to get out of his father's shadow until he moved to Spain. But Alessandro wrote around 100 operas, as well as six-hundred cantatas. Most of these are currently unknown and this new disc on Harmonia Mundi, from soprano Elizabeth Watts with Laurence Cummings directing the English Concert, seeks to remedy our lack and make us more aware of Alessandro Scarlatti's skill. Alessandro Scarlatti was born in Palermo in 1660, and trained in Rome, but spent much of his life in Naples where he was maestro di cappella to the Spanish Viceroy. His operatic output on the disc stretches from La Statira (1690) to Griselda (1721) (though in fact his earliest opera dates from 1679), and the operatic arias are supplemented on the disc with arias from some of Scarlatti's many chamber cantatas. All were written for the finest singers of the day and it is the bravura element which you first notice. But the arias are often complex and can be large scale, with some on the disc very substantial in duration. The operas on the disc vary between the lighter serenatas, written for private festivities to the large scale serious operas such as Mitridate Eupatore (1706) which commentators agree was one of the composer's major operas. Rightly we are treated to three arias from this opera. The selection of arias is intelligently made, with a great variety of textures and styles. This is not one of those disc where you feel that the singer has chosen simply the most complex pieces so that you simply get a sequence of showings off. Not that the disc is short of showing off, after all that was what these arias were intended to to! 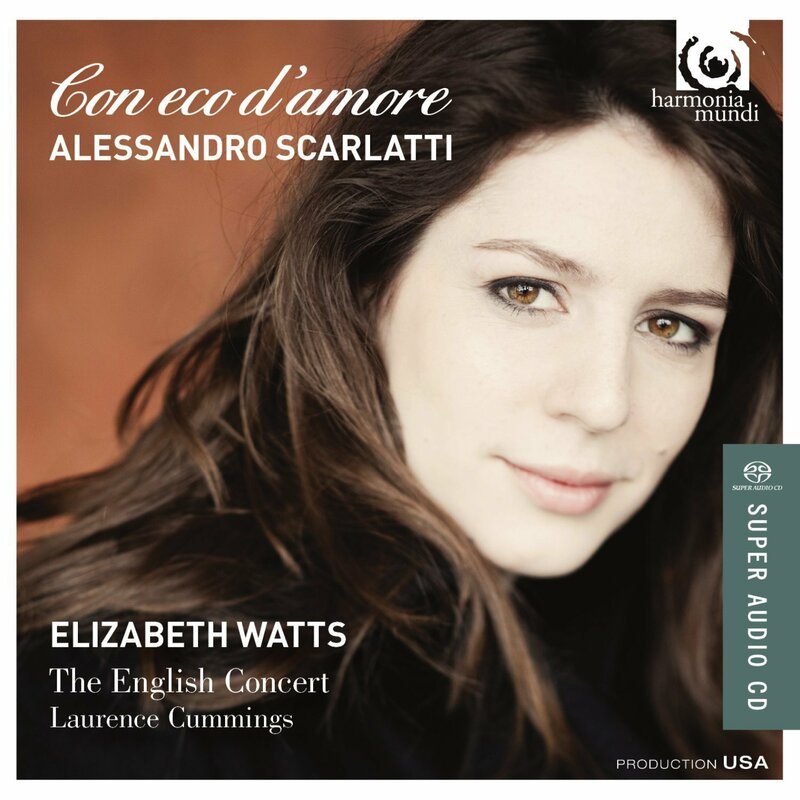 Elizabeth Watts sings with musical intelligence and a nicely rich, vibrant tone. She is the sort of lyric soprano who can bring a dark complexity to her sound, giving colour to the emotional texture. She copes brilliantly with Scarlatti's technical demands, though it is clear that one or two of the arias take her to the very limit. But throughout she sings with poise and vibrant charm. One of the features of the disc is its inclusion of a selection of arias in which Watts gets to duet with Mark Bennett's trumpet. Whilst this pairing might seem unlikely to modern ears, the baroque composers often paired soprano with the baroque trumpet and here we get some delightful duels, as the two seek to out do each other. Watts shows bravura brilliance in the way she matches Bennett's trumpet and the two form a delightful and amazing pairing. Throughout Laurence Cummings and the English Concert provide stylish and lively support. This is certainly one of those disc which makes you re-consider the composer, and I do so hope that Alessandro Scarlatti's reputation may be boosted somewhat. I for one, would love to encounter a complete performance of Mitridate Eupatore!